Can a Scottish Punk Brewery make you believe in Unicorns? In 2013 venture capitalist Aileen Lee coined the term unicorn to describe any startup to reach a valuation of $1 billion. By that definition, I am a co-founder of one of the first start-ups to become a unicorn. This was back in the late 1990s when our team at BT Cellnet founded Genie Internet, the world’s first mobile internet portal which reached an independent valuation of £1 billion at its peak. In the early phases of Genie we had immense fun, especially as I was in my late 20s being responsible music, games and entertainment. My strategy was to evolve this part of Genie into a content production, and I had built an amazing partnership with Something’ Else, the London-based radio and media production company. Together were launched XY Network, the first on-demand audio service to use the new internet WAP phones, with people being able to access radio programmes from their handsets. However, while Amazon are now producing television shows with great success, this plan was not accepted by the board of new directors who had come in, the vision simply being to charge companies for listing on our mobile home page. The result of this and other decisions was that only companies with the largest budgets would be able to prosper. Our original plan had been to take Genie to IPO, but this was never to happen due to the politics of creating a startup inside a major corporation. Despite Genie eventually being brought back into the corporate fold with the launch of the new brand O2, I am extremely proud of what we achieved. 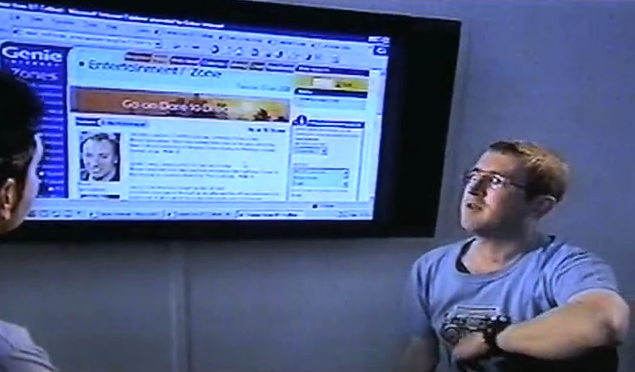 We were massively disruptive, and internally controversial, especially for ensuring that Genie worked for any person on only UK network, and not just our own customers. When I look back, we were a tight team, giving it everything, bursting with energy and a desire to revolutionise the nascent mobile internet. Fast forward twenty years and the mantra is now exponential growth. Sometimes this is no bad thing, but at times it can seem that the only focus is on exponential financial results at any cost. To counteract these extreme forms of short-term focus, a new form of business with conscious leadership driven by higher purposes has emerged to help bring in a little sanity. Companies such as Patagonia have received global praise for the way in which they have supported social and ecological programmes, and have committed to contributing 1% of their profits to good causes. Other companies such as Unilever have also rightly received praise for their sustainability and corporate social responsibility (CSR) initiatives, and this too is rightly deserved. As you may have seen, a couple of weeks ago I hosted a conversation with Fritjof Capra and Daniel Wahl where we discussed the United Nations Sustainable Development Goals (SDGs) and we discussed the way in which this initiative is still struggling to gain traction in the corporate world. We talked about educational initiatives seeking to change the way we think and behave, and I also discussed the way in which our own approach to consultancy which Maria and I have developed, which we call the Holonomics approach, does not seek to confront and blame business, but which seeks to transform and evolve through expanding people’s consciousness, introducing human values, and developing systemic solutions. 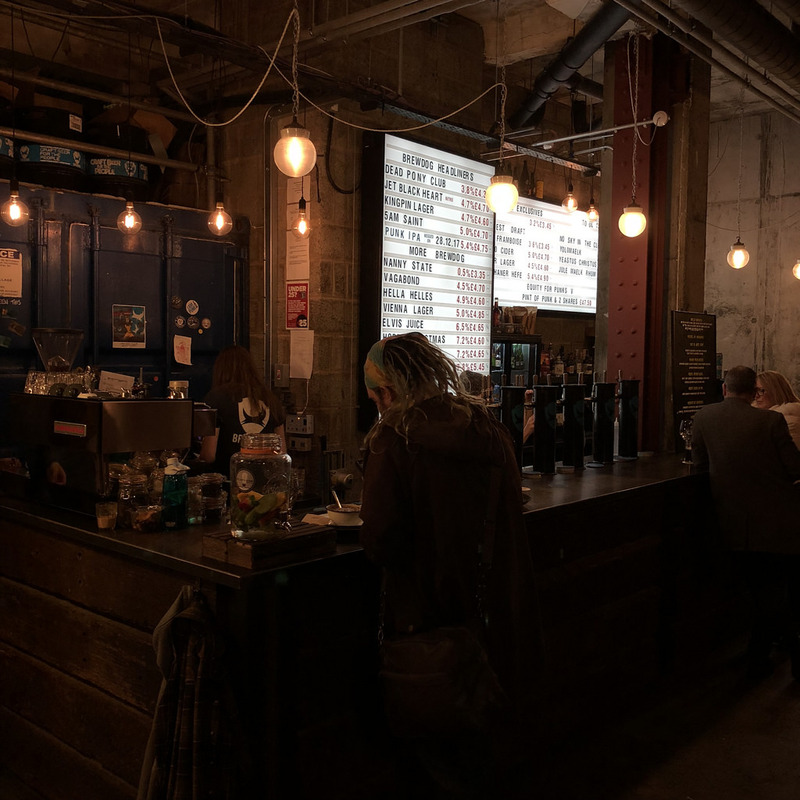 One company which we often discuss in our workshops and lectures, and which we include as a case study in our book Customer Experiences with Soul: A New Era in Design is the Scottish brewery BrewDog. BrewDog were founded by James Watt and Martin Dickie in 2007. The last decade has seen them grow to becoming the largest and fast-growing craft-beer producer in Europe. The graphic below shows their total dominance in the UK. As you can see, Punk IPA, Dead Pony Club, Elvis Juice, Dog Pack (multi-packs sold in supermarkets) and the zero-alcohol Nanny State fill 5 of the place in the top 10 UK beers. BrewDog was born on the singular mission of helping people to love craft beer as much as the founders, and the way in which BrewDog have revolutionised craft beer in the UK and around the world, causing complacent multinationals to react and attempt to respond, has been incredible to say the least. 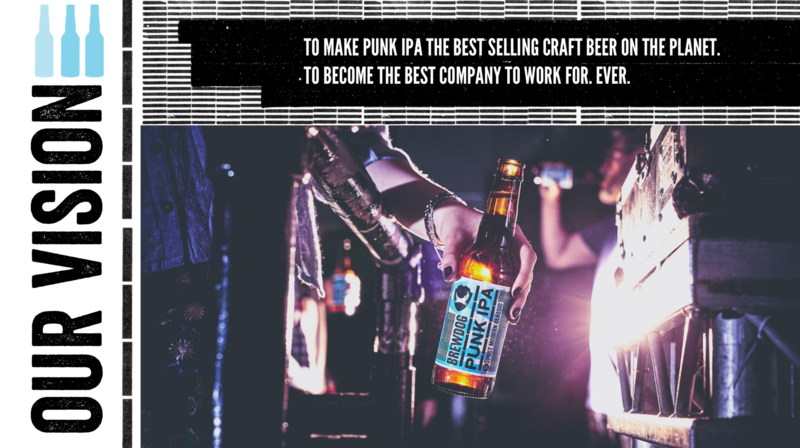 The story of BrewDog is all the more remarkable for the way in which they have become the first $1 billion brewery to have grown through crowdfunding as opposed to using traditional financing methods. BrewDog have always focused on quality beer and by creating a new style of craft-beer bar, but their growth was only possible by creating a new form of equity-based crowdfunding. Their philosophy has always been to shorten the distance as much as possible between the people who make the beer, and the people who drink it. 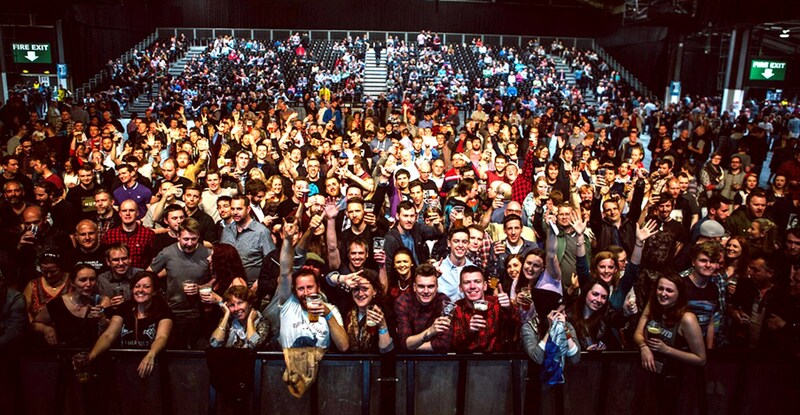 Their crowdfunding campaign, Equity for Punks, is the ultimate incarnation of this philosophy, which has led to a global network of 50,000 Equity Punks, resulting in what they describe as an “entirely new level of consumer engagement”. It is this great ability to engage people that I believe many in the sustainability sector can learn from. BrewDog themselves not only campaign for craft beer, but for sustainability and social causes. 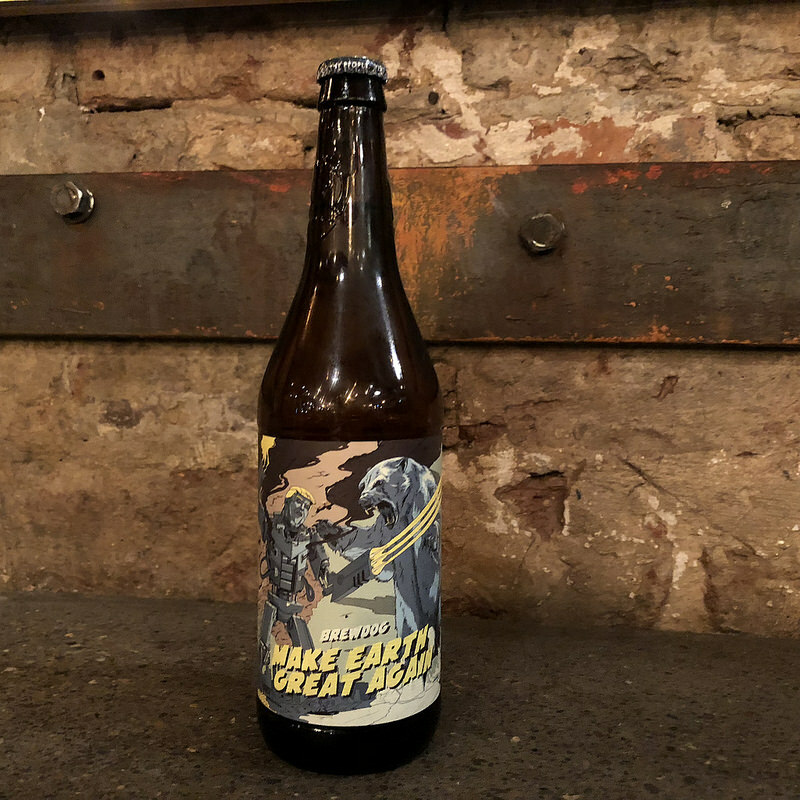 One example is the recent Make Earth Great Again, a protest beer created to remind global leaders to prioritise issues relate to Climate Change. And all proceeds from it will be donated to 10:10, a charity lobbying for legislative changes relating to global warming. While BrewDog have thousands of fans who were investors around the world, they are not a company seeking universal acclaim, and this is partly due to the fact that irreverent humour is fully ingrained in their DNA. However, their moist recent initiative, their unicorn fund, really is a project that I fully do believe should receive acclaim, the reason being that I do believe it is inspirational, audacious and unique. As I mentioned, Patagonia have committed to donate 1% of their profits to good causes. In August of last year BrewDog announced that it will give away 20% of its profits every year; 10 per cent will be shared equally among its staff, and a further 10 per cent will be issued to charities chosen by the brewer’s 1,000-strong workforce and 57,000 Equity Punk investors. 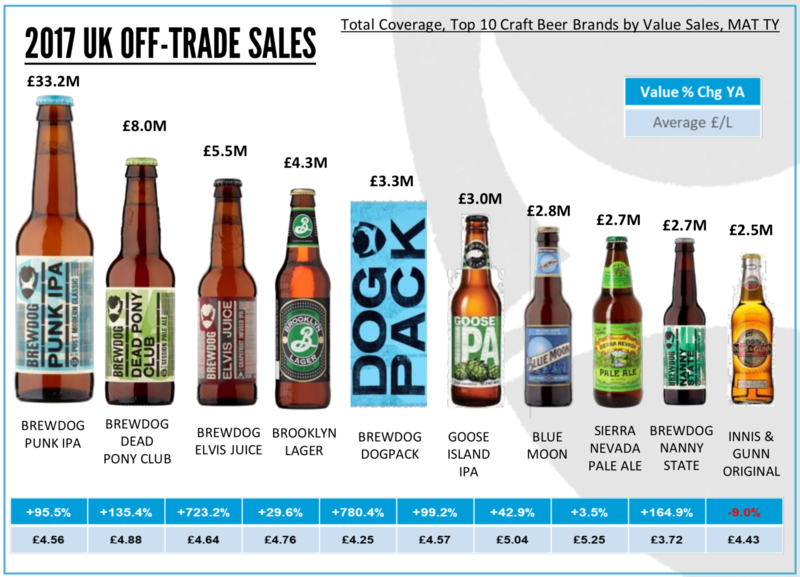 According to their estimates, if they achieve their projected targets, BrewDog will give away in excess of £45million via the Unicorn Fund in the next 5 years. “At BrewDog, we care about two things above all else; our beer and our people. We want to make the best beers on the planet, we want to be the best company to work for, and we want to build a radically new type of business that we can all be proud of. Giving away 20% of our profits – forever – is not about altruism. It is about impact. It’s not about profits. It is about purpose. This is the biggest community-fuelled, crowdfunded charity contribution in history. As an Equity Punk investor myself, I have followed BrewDog closely for the last few years, and I have been able to see first hand their passion and commitment to engagement with those who are most passionate about their beers, philosophy and vision. Watt is a regular contributor to the Equity Punks online forum, and it was therefore really interesting to hear him talk further about the unicorn fund. Giving away 20% of your company profits is a monumental commitment, especially when you are also in a strong and early growth phase. This type of gesture requires a huge amount of passion in order to help investors understand the value and meaning, hence James taking time to converse with the Equity Punk community. 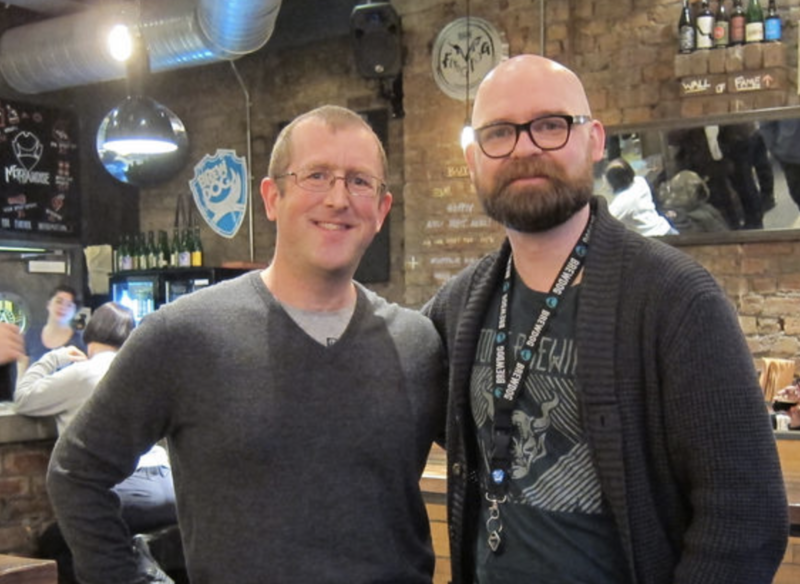 In 2016 Maria and I had the opportunity to meet David McDowall, one of BrewDog’s directors, who was then head of bars (he now heads up their retail activities). The time and attention David gave to both Maria and myself is the principle reason why I am an Equity Punk investor. David had taken time out of a meeting with colleagues to spend time with Maria and myself, and he was interested to hear about our own work with Holonomics, which we wrote to help people understand the people side of sustainability, an aspect which we felt was really lacking and which led us to developing our approach to business. “James made a point in his note above that everyone in the management team was fully aligned with the decision on Unicorn Fund and I just wanted to hop on to say that this is absolutely the case. The decisions that we have made on giving 10% of our profits to our team and now a further 10% of our profits to carefully selected causes have by far and away been my proudest moments as part of the team who lead this little business that we all love (that’s really saying something also as we do a heck of a lot that we should all be massively proud of). Also we all passionately believe that we will be a more valuable, profitable business in years to come as a result of these decisions and we have seen lots in our 2017 year to date performance to suggest that we are driving performance and growth even harder since we introduced our 10% profit share with the team. Our plans are incredibly ambitious and audacious as you all know and we are SO aware that we only have a chance of delivering on them if we have an incredibly engaged, talented and motivated team. Just wanted to offer another perspective from the Director team here at BrewDog, but also I wanted to say that I would be happy to discuss the decision and our belief that this is a hugely positive transformational step for the business with any Equity Punks who are still having doubts and concerns. We genuinely want you all to understand why we did this and to believe in it as passionately as we do. So feel free to drop a note to me [via email] and if I can get face to face I will, otherwise I’ll happily call or Skype to answer questions. David is not a “sustainability manager” in BrewDog, but the way he treated Maria and myself (who he did not originally know as authors and speakers) completed changed my view of who BrewDog were and what they were about. For me there is a deep authenticity in BrewDog, and you experience this not only in the two founders who have a huge amount of media visibility, but in everyone who is a part of the crew, in the head office and those who have responsibility in engaging investors, and all of those who work in the bars, creating such a welcoming and embracing experience. So this is sustainable growth, with an authentic and revolutionary CSR initiative. As Watt is at pains to explain, happy and engaged employees are absolutely vital for the success of any company, and at BrewDog they are both contributing to many different causes as well as benefitting directly from the growth. 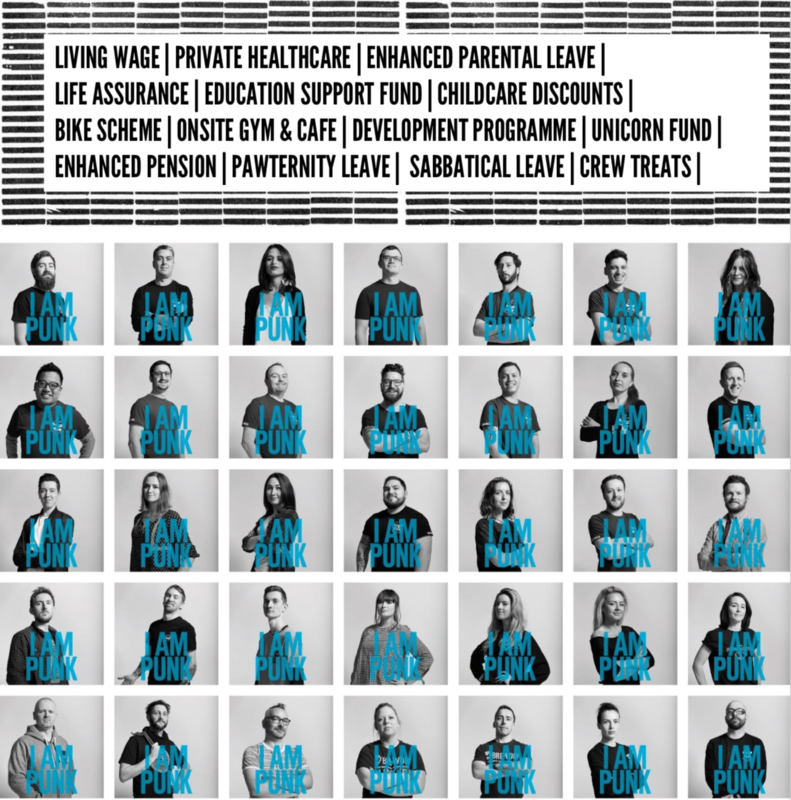 BrewDog have had the goal to be the best place to work for some years now, and they are a Living Wage employee, so the Unicorn Fund really underlines there commitment to that which they believe. A vision as bold and brave and theirs can only work if the leaders of BrewDog are authentic and really living that which they are preaching and evangelising. Anything less will soon be found out. I have seen the same pattern repeated many times, especially in co-creation events relating to sustainability and innovation, and in Customer Experiences with Soul Maria and I discuss the transition of consciousness necessary to really make the leap whereby those wishing to influence others really are able to fully engage with heart and soul, as opposed to just talking the talk. In the 1990s I learnt a huge amount about how to work in partnerships. We were only able to create Genie and grow it at the rate we did because of the quality of the partnerships we developed. Agility was everything, with a monumental focus on our customers, their needs, and through innovation offering them something which no one else was able to do in the timescales which we were developing and launching. As I developed more of an ecological consciousness as I moved into my thirties, my priorities in life changed, but I never lost all of which I learned in the corporate world. For this reason I always look for that which is good in business, and seek to help others do more of what is working and less of what is harming. 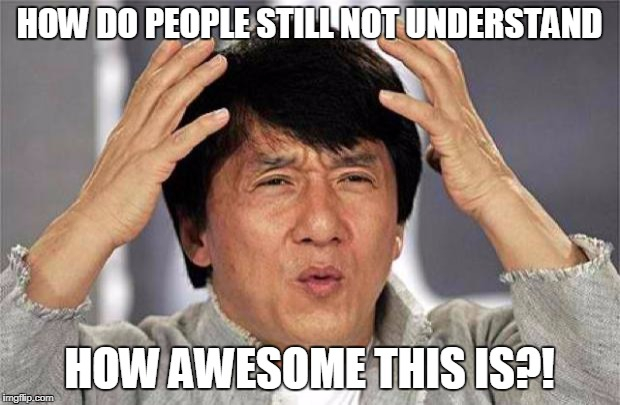 Unicorns for the sake of exponential growth is a phenomenon I believe we will see less and less of. Unicorns like that which BrewDog have conceived and brought forth into the world are now the ones I believe which really set the bar for corporate social responsibility and sustainability programmes. Make us be part of you.